Nothing like a rooster ringtone to wake up the neighbors. 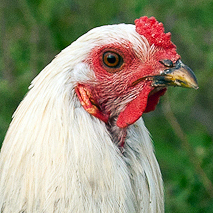 In free-roaming flocks, he’s the one who guards the hens and oversees the complex social relationships of the flock. Clearly something to crow about!